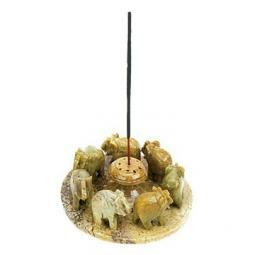 These Soapstone Om Incense Burners are carved from real soapstone, and are handmade in India. They measure four inches in diameter, and can also be used as a tea light holder as well, as there is an indentation on the right side that is big enough for the base of a tea light candle. 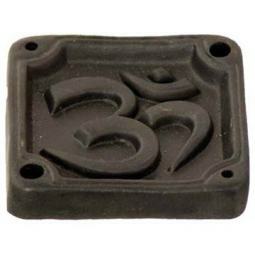 Since these Soapstone Om Incense burners are hand carved, they will all vary slightly in the design, meaning that each burner is a unique work of art. 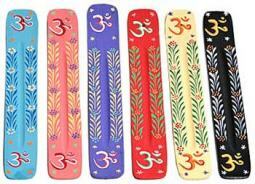 The Om Sign has far too many meanings to list them all here, but it is primarily the symbol for Oneness with the Divine, or the symbol for Cosmic Energy. It is one of the most widely recognized symbols in the world.